This eight-week personal development course teaches you practices and techniques to enhance your well-being and help you to find ways to get more out of your life. It will help you find new approaches to old patterns of thinking and reacting, through engagement in group discussion, sitting and movement practices and self-inquiry. If you are not sure if the MBSR course is right for you why not try a taster first? The cost of the taster is refunded if you book on the MBSR course. This course is two hours a week for eight weeks plus a practice day (10am to 4pm). The group size will be between eight and 15 people. Gentle stretching and mindful movement – this can be adapted to suit individual needs. Group interaction – in the whole group, pairs and small groups. Self-reflection – exploring new approaches to old patterns of thinking and reacting. Homework – practice CDs and other activities (30 to 45 minutes a day). 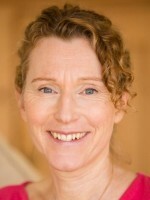 Sara is registered on the UK Listing of Mindfulness Teachers https://www.ukmindfulnessnetwork.co.uk/ and is a trained counsellor, coach and coach supervisor. As well as running mindfulness tasters Sara delivers public 8 week Mindfulness-Based Stress Reduction courses and mindfulness training for the workplace.